One of the first questions people have about any type of transportation service is: how much does it cost? Non-emergency medical transportation rates in Florida vary based on the company you go with, how long the ride is and what type of services you require. You may also receive a discounted rate if you book frequent trips with the same company. For instance, we offer special rates for patients that require 3 trips per week. This is a common option for dialysis patients. Do Rates Vary from State to State? Non-emergency medical transportation rates in Florida may differ from rates in California, or any other state. Florida is home to the highest number of seniors, which demands greater transportation needs. As a result, there is more competition and prices tend to be more competitive. You have a lot of options to pick from for transportation services in Florida. That’s why we always recommend shopping around and getting quotes from several transportation providers. Remember though, price isn’t the only important factor to consider. According to a report released by WPTV late last year, many people have submitted complaints about transportation companies due to lack of safety and overall accountability. Before deciding to go with a company, check reviews online and ask for recommendations from past customers. How Long is Your Trip? Trip distance is a critical factor in determining overall cost. Each company will use a different system to calculate costs, but most use number of miles traveled and if the trip is one-way or round-trip to determine your bill. Our one-way trips start at just $25 for patients who can walk, this covers up to 5 miles, with an additional charge of $3.65 for each mile after the 5-mile mark. The same trip both ways will cost $45 for up to 10 miles, with the same $3.65 charge for each mile thereafter. 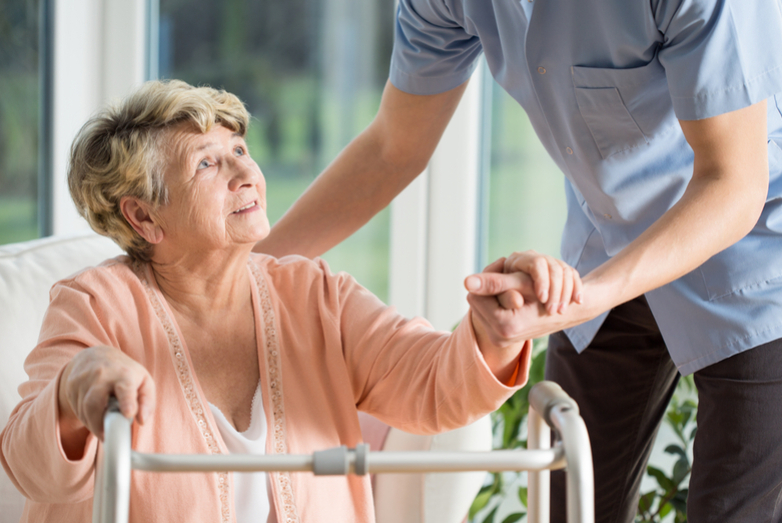 Ambulatory (can walk), wheelchair, and stretcher rates vary based on the number of people necessary to safely and comfortably transport the patient. Patients may require more or less drivers on site, either for health or mobility reasons. Door-through-door service is another add-on to consider for patients that need assistance getting out of their home. In addition, you can opt to have a team of transporters on standby, waiting and ready to transport you back home. There is a standard per-hour wait time applied, which is billed in 15-minute increments. Weight is a factor if you are in a wheelchair or require stretcher transportation. Our standard price applies for patients up to 299 pounds, with additional charges for patients weighing between 300-400 pounds. Added costs are mandated to accommodate the need for more drivers to move the patient. We offer both in-county and out of county trips. As long as you live within county, we offer long distance transportation for rides that total 150 miles or more. You might be surprised at how affordable it is to book long distance transportation. Plus, we can take you as far as clear across the US. We offer frequent traveler discounts. This is an especially popular option for dialysis patients who require 3 rides per week. Check out our pricing page for more details on the cost of local and long-distance transportation. Or, simply contact us with the details of your trip and we can prepare a quote by email or over the phone. I’m so glad that we used Stellar to transport my dad… He was comfortable for the entire ride to Georgia! My dad loved that they played his music. I loved my experience with Stellar Transport. Their name says it all… Stellar service! The driver was so friendly. I recommend Stellar to everyone who needs non-emergency transportation! Five stars!! !